Consisting of an old carriage house, a newer building and a winter garden, this ensemble displays a delightful harmony. Its different structures and materials merge to create an inviting and pleasing spa ambience for guests. 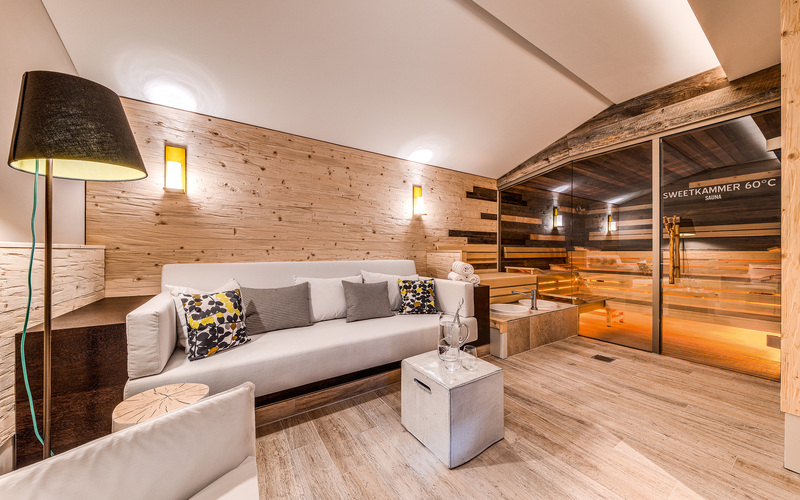 Wellness space of about 1,500 m². 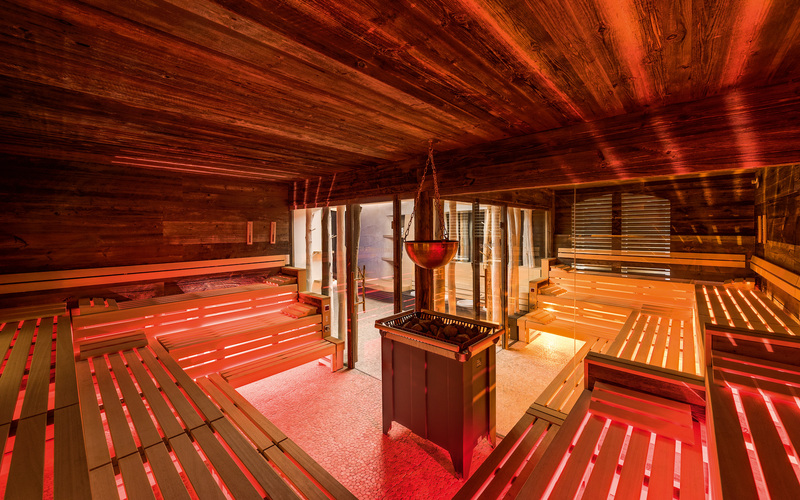 PROFI sauna: Finnish sauna, SANARIUM®, steam bath, snow cabin SNOW PARADISE®, hamam, wet massage lounger, foot bath, “Diva Relax Balance” infrared loungers, private saunas in two apartments. Inspired by the rhythm and balance of nature, the Schlosstherme spa is a place of peace and tranquillity. Guests regain their sense of inner harmony and enjoy the sea all around. 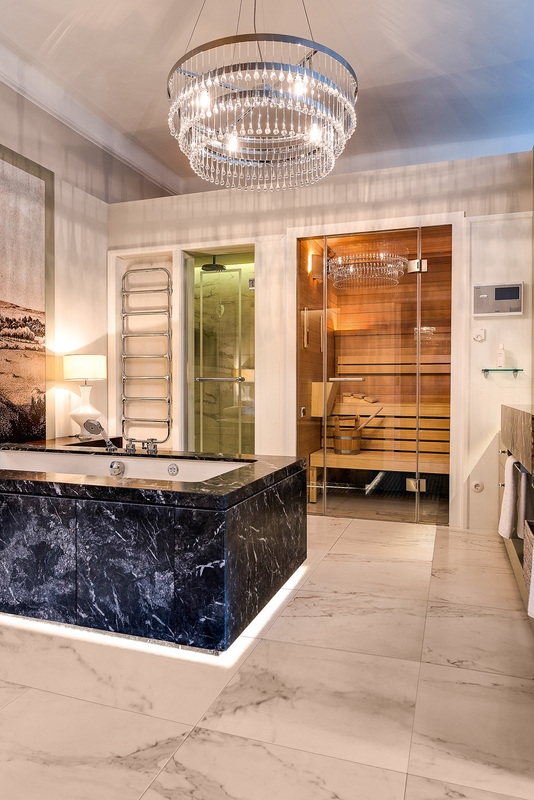 Small can be this big: the luxurious design of private saunas promises true spa pleasure in intimate surroundings. 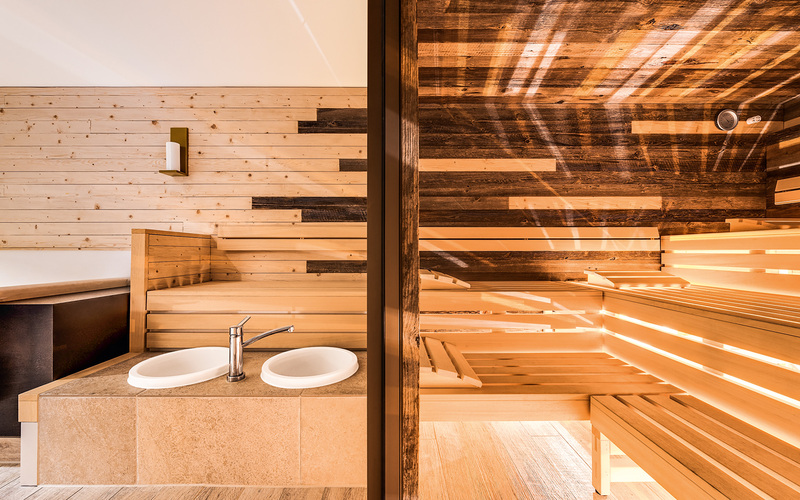 Just like the spacious, rustic-style Finnish sauna at the Schlosstherme spa, private saunas are designed to meet the latest technical standards.